As discussed in previous HealthyTOKYO articles, the benefits of CBD are still being discovered but many testimonies from users have claimed it benefits concentration ability. In today’s world we are constantly bombarded by stimuli whether it is from advertisements on the street, television, or even push notifications now, so it can be difficult to tune out the incessant distractions vying for our attention. Just sitting down to concentrate on a single task at work or school becomes a challenge in and of itself, and that’s not to mention conditions such as ADHD that some people also suffer from. For this third installment of the HealthyTOKYO article series on CBD, we will be taking a look at the claims behind CBD for concentration. CBD is a cannabinoid that comes from the Cannabis Sativa L. plant. Its believed to indirectly interact with receptors called the endocannabinoid system located in the brain and throughout the body. While CBD is thought to stimulate this system and promote equilibrium (homeostasis), reducing pain and inflammation, there is currently only a small number of clinical studies based on the benefits of CBD, so it’s potential is still being discovered and confirmed. As discussed in my previous two articles on CBD, CBD for Epilepsy and CBD for Depression show some promising results, but its proposed benefits do not stop there. First let’s take a look at some of the factors that can affect your concentration. As mentioned above, distraction in our modern world might seem to be just a way of life, and while it might be easy to chalk up our short attention spans to phone addiction, the issue may go deeper. Two big factors affecting your concentration that you may not have thought about are stress and poor quality or a lack of sleep. Both of which have been shown to affect the levels of serotonin in your brain. Studies show that CBD has an affinity to the 5-HT serotonin receptor, and has been purported to produce an anti-anxiety effect, lowering stress, while other research in preclinical studies claims CBD to be potentially useful in treating insomnia. 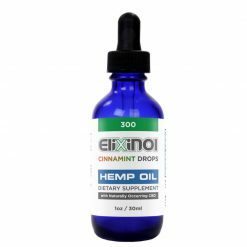 Paradoxically, there also exists literature showing that CBD may increase alertness, which would help with concentration and focus. ADHD (attention deficit hyperactivity disorder) is a disorder commonly found in children, but can also continue to occur through to adulthood. ADHD is characterized by inattentiveness, hyperactivity, and impulsiveness, in addition to feelings of anxiety, chronic forgetfulness, and procrastination among other similar issues. In the case of ADHD, there may be a connection to CBD for concentration. In a preclinical study, CBD was shown to reduce hyperactivity in particular, and thus may be a viable alternative to other well known medications such as Adderall or Ritalin. It is still unknown exactly what causes ADHD, but it has been suggested that a chemical imbalance in the brain may be the culprit. In this respect, the believed homeostatic nature of CBD may be able to help with ADHD by potentially balancing out your brain chemistry. 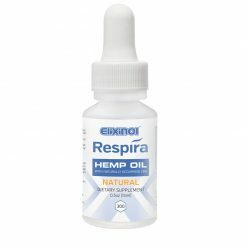 So how exactly could CBD help you improve your concentration if you do not suffer from lack of sleep or ADHD? As briefly touched upon above, CBD is thought to allow a greater distribution of serotonin in your brain, not unlike an SSRI (selective serotonin uptake inhibitor). More serotonin leads to less stress and anxiety, so there is an argument to suggest that focus can be improved by decreasing these two factors. Ultimately, it is difficult to decisively say what cause as lack of concentration, but whether it is due to external factors causing stress or anxiety, or a disorder such as ADHD, certain studies seem to suggest that CBD might be a potential option to help rebalance your system and regain focus. If you have any questions about CBD for concentration or any other health related topics, please make use of the HealthyTOKYO site chat feature located on the bottom right of the page. 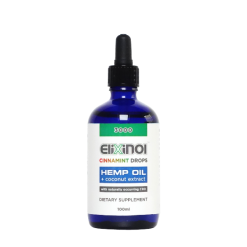 Hemp based CBD oil can be purchased right here on HealthyTOKYO and is legal in Japan.